Both Peterson and Knost have separated themselves a bit on the leaderboard as well, with no player closer than three shots. It is the reason that both Peterson and Knost are at the top of the laest PGA Tour Betting Odds to win this week going into Sunday. 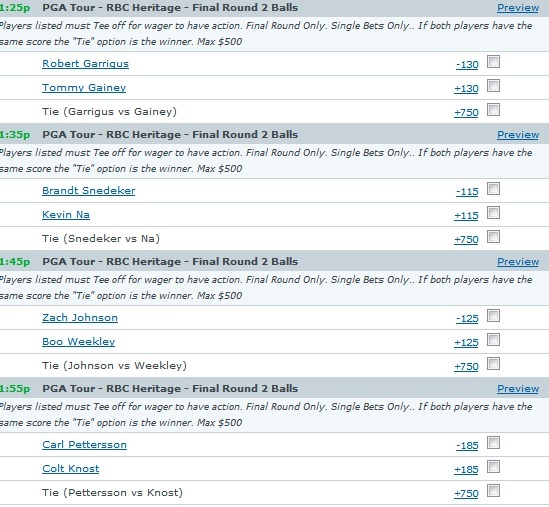 But outside of the revised betting odds to win, Bovada Sportsbook has also formulated 2-ball betting odds for the round. We are going to take a look at some of these betting lines for the final few pairings, which gets going later this afternoon. Petersson and Knost will go off at 1:55pm ET today, but in the few groups ahead of them, defending champion Brandt Snedaker will also be looking to chase them down, as well as a two-time champion of this event right in front of them in Boo Weekley. The stage looks to be set for some fireworks if Knost and Petersson stumble a little early. Snedaker will be paired with Kevin Na in the final round, and it a -115 favorite to shoot the lower score in the group, with Na set at +115 on the other side of the betting line. And if the two players tie, that option typically pays out at +750, and that is the case here. Zach Johnson will be paired with Weekley in the group going off at 1:45pm ET today, just in front of the leaders. Johnson is a -125 favorite to shoot the lower number, with Weekley on the other side of the margin at +125. Then we have the final pairing, with Petersson a heavy -185 favorite to record the low number in this pairing, and Knost set at +185. 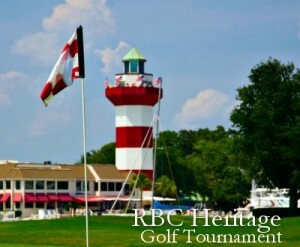 Coverage of the RBC Heritage gets underway at 2:30pm ET today on CBS.